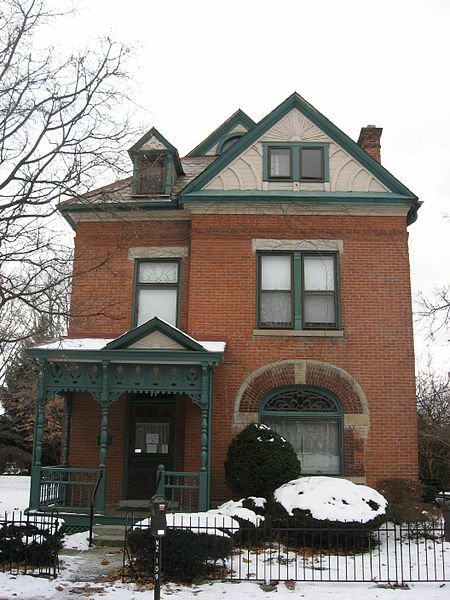 James Thurber’s house in Columbus, Ohio. Image courtesy of Nyttend, Wikimedia Commons. It’s time to stock up on my popcorn. I’ve heard that one of the funniest stories ever written is coming back to movie screens in 2013. YEAH! I’m referring to the short story The Secret Life of Walter Mitty by writer James Thurber. Thurber’s always been a humorist I enjoy, next to Mark Twain and Dorothy Parker. I like this story so much because Walter is a mild-mannered, henpecked man who prefers to escape into heroic daydreams as he goes about his daily life. (It’s that whole rooting-for-the-underdog thing.) In the story, he is a U.S. Navy pilot, a surgeon, an assassin turned court witness, a Royal Air Force pilot and a prisoner. Each character Walter becomes is wonderfully different from his real-world self. You can’t blame Walter. He’s got a tough time of it so you understand why he escapes into daydreams when he can. Thurber often wrote about henpecked men who turn the tables on the people that torment them. If you’ve ever read his short stories The Catbird Seat or The Unicorn in the Garden, you’ll get it. And I also love his book The 13 Clocks, an amazing fairy tale with wonderful illustrations by Marc Simont. This story was also made into a humorous 1947 movie with the title role being played by Danny Kaye. The movie was all right, but it differed quite a bit from the story. Danny gets to play different characters in this one, including a French fashion designer. “I’m Anatole of Paris…I shriek with chic!” That line sends me off into laughter each time I hear it. And of course, it has a wonderful ending (WARNING!! SPOILERS!!) where Walter tells off the people that plague him (You go, man! ), gets the girl and ends up happy. I’m interested to see what happens with the 2013 version. Ben Stiller was cast as Walter Mitty, and they’ve done an amazing makeup job on him as an old man. Go to Google Images and type in “Ben Stiller Walter Mitty” to see for yourself. According to The Internet Movie Database, the movie is currently being filmed and won’t be released until Christmas of 2013. I’m keeping my fingers crossed that the movie will be worth it. Here’s hoping, anyway.